I came across a TEDx Talk 1 where Moby 2 explains the reasons why he became a vegan. It’s a short 12 minute video that’s worth watching. I’ve also added a transcript of the video. I was raised by animals, specifically Jamie the dog, Charlotte the cat and a whole gaggle of lab rats that my dad rescued from Columbia University where he worked. And I spent the first two years of my life in a small basement apartment in Harlem, and in addition to the animals there were also people. There was my mom, my dad, their friends, and it was the mid 60’s and my parents and their friends were really young so they drank and they smoked and the screamed at each other and they listened to loud music, and they cried and they yelled while the animals just kind of sat there, calm and quiet. So I learned this lesson with these calm wonderful animals that animals are safe, quiet and to be trusted. And with my parents and their friends screaming and yelling – that humans are loud and terrifying. So when I was 2 yeas old my dad died and my mom packed me and Jamie the dog and Charlotte the cat and the gaggle of lab rats into her rusty old Plymouth and we drove up to Connecticut and she rented a tiny little house next to the train station in Darien Connecticut. Our menagerie just expanded and this tiny house became a zoo with more adopted dogs and rescued cats and lizards and more rats and mice and hamsters and gerbils and even some baby squirrels we found in the backyard. It was this wonderful zoo and I loved all these animals like unconditionally. My mom was tragically newly single since my dad had died, so she started dating and she had way better taste in animals than she did in men. So she dated Hells Angels, she dated drug addicts, she dated musicians. And just a little quick aside: dating musicians is always a terrible idea. So our menagerie of animals were just calm and wonderful but these Hells Angels, these drug addicts, they were loud, they were violent and it just sort of reinforced that lesson I’d learned in that small apartment in Harlem: animals are wonderful, humans are terrifying. And I loved our animals so unconditionally that whenever any one of them died I grieved inconsolably. 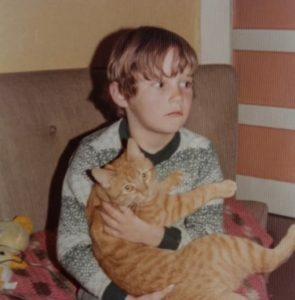 So this is me with Pakka the cat. When Pakka was hit by a car I had to stay home from school for a day and just mourn and cry because Pakka was my best friend. But I was a suburban boy. I loved animals, but I also loved hamburgers and I loved hot dogs and I loved pizza with sausage and pepperoni. And my mom made this meatloaf that she wrapped in bacon that she served with greasy egg noodles and I loved all of that. I loved every piece of disgusting junk food that was served from the window of a fast food restaurant in styrofoam with greasy napkins and it was like the phrenological paradox – like there was a wall built in the middle of my brain. And this side of the wall loved animals with their kindness and decency, and this side of the wall loved eating animals. I would say it was a paradox but it wasn’t because it’s not a paradox which is a paradox. Because it was also the status quo. Like everyone I knew loved animals, but everyone I knew loved eating animals. So it never dawned on me that this was a paradox. On school tips, we’d go to farms and visit cows, and pigs and chickens, and I loved them as unconditionally as the animals in our home. The cows in particular because they were shy but curious. cautious but affectionate, and I loved them but I loved hamburgers. And when I was 10 years old I was playing at the dump, because I grew up poor white trash in one of the wealthiest towns in the United States, so I spent a lot of time playing at the dump. The dump was really interesting. There’s all this weird fascinating garbage that the rich people threw out. There were rats and raccoons like fighting over scraps of food. While I was at the dump, I heard this sound – the tiniest of sounds – like just this little “meow“. And the dump was a loud place. The freeway was right there and there were dump trucks going by. It was just a cacophony, but over this cacophony I heard it again, the tiniest “meow“. And I saw this cardboard box, water damaged, and I opened it up and inside this cardboard box were three dead kittens – tiny like the size of my thumb. But there was one barely alive kitten. So young that his eyes were still closed. And I scooped him up and I rushed home. My mom and I then rushed him to our local vet. And our local vet knew us really well because we had so many animals. When the local vet saw this tiny sick kitten he shook his head dolefully and said don’t get too attached because kittens this young don’t live without their moms – they don’t survive. So my mom and I took the kitten home and we named him Tucker. To this day I don’t know where that name came from. We made him a soft little bed out of old T-shirts and rags, At this point in my life my grandmother was living with us and she had the world’s most misanthropic dachshund and his name was George and George hated everybody. He hated me even though I loved him (story of my life). He hated my mom. If think he even hated my grandmother, although he sort of tolerated her because she fed him. So George walked over in his cranky way to see what was going on with the mewing kitten and something very surprising happened. 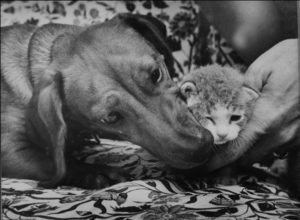 George jumped in bed with Tucker and became Tucker’s mom – cleaned Tucker and warmed Tucker and stayed by Tucker’s side 24 hours a day for two weeks until Tucker was healed and well. And my Uncle Joseph Kugielsky was a photographer for the New York Times and some local papers in Connecticut. And he took this picture..and you are right to “ahhhh” because it’s adorable. He ran this picture in some local papers, so for a day Tucker and George were really famous in animal circles in south-western Connecticut. This was my first vicarious brush with fame. I loved Tucker. He was my best friend. He was like the little brother I’d never had. He used to meet me at the end of my driveway when I came home from school. And we played together and we slept next to each other, and I loved him so much, but I kept eating hamburgers, and I kept eating hot dogs and I kept eating junk food. One day when I was 19 years old, I was sitting on the steps of my mom’s house with Tucker. We had this orange shag carpeting, So I’m sitting on this orange shag carpeting with Tucker and the sun was coming through the windows and it was just this perfect moment, and I looked at Tucker, who at this point was about nine years old – fun aside, Tucker lived to be 23. So I looked at Tucker and I saw this perfectly formed being. This individual with two eyes and a central nervous system and all of a sudden, that phrenological wall in my head disappeared and I extrapolated and I realised that just as Tucker had two eyes and a central nervous system and a rich emotional life – I mean, he had personality, he was funny, he was idiosyncratic, and he had this deep desire to avoid pain and suffering and to be alive and to be happy. I suddenly extrapolated and I realised that every creature with two eyes and a central nervous was like Tucker. They just wanted to avoid pain and suffering and wanted to be happy. So in that moment, I left behind hamburger, hot dogs etc and became a vegan and then an animal activist. And that was 35 years ago. So I’ve been a vegan animal activist since then and it’s the most important part of my life. I love making music and doing other things, but animal activism – I was gonna say trumps – but it surpasses the other things that I do. Honestly, being an animal activist can be really hard, because every year one hundred billion, over one hundred billion animals are killed by and for humans. Billions with a ‘B’. So it’s challenging; but on the other hand, being an animal activism is kind of easy because all I have to do is to remind people of what they already know and to remind people what they already feel. So I assume that everyone here, except for the sociopaths, has had that experience of like bonding with a cat or bonding with a dog and feeling that heart-expanding love. 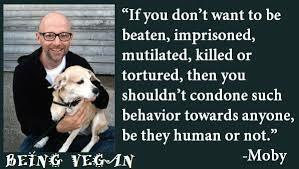 And of course I mean as I’ve been doing this for a long time I’ve learned many things that have reinforced my animal activism. The fact that animal agriculture is the second leading cause of climate change. That 75% of antibiotic resistance – a plague that awaits us all – is the result of animal agriculture. Because the animals on factory farms are treated so badly and are so sick that the only thing that keeps them alive is mega doses of antibiotics. 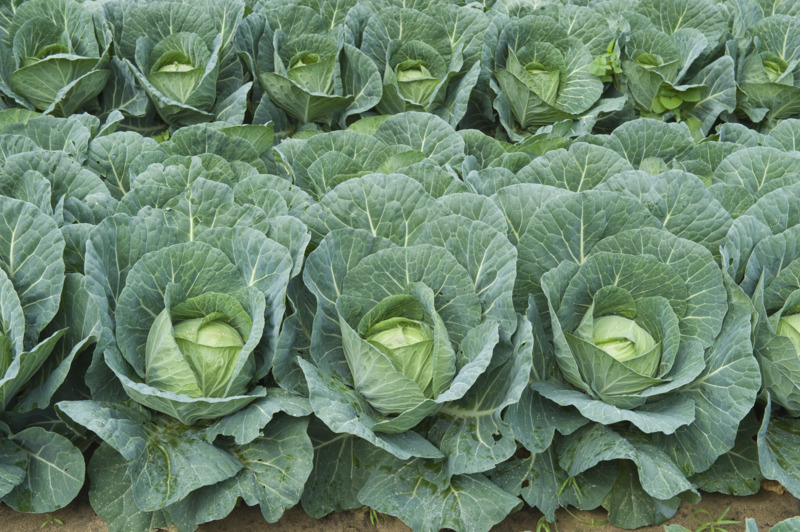 The role of animal agriculture in cancer, diabetes, heart disease, Alzheimer’s, obesity. The fact that 90% of rainforest deforestation is attributable to animal agriculture. 50% of ocean acidification comes from animal agriculture. So all these facts strengthen and buttress my activism; but at the end of the day, what sustains me as an activist is love – the unconditional love I have for all animals. And I think that’s the best part of who I am. That selflessness, that love and patience and kindness. And I think it’s the best part of who we all are. You know, the part of humanity that wants to protect the innocent and defend the vulnerable. That’s the best of humanity not the part that puts animals in factory farms. And that epiphany, that realisation, that moment I had with Tucker on the stairs in my mom’s house stays with me. And that realisation is sort of encoded into the core who I am. The realisation that every animal with two eyes and central nervous system wants to avoid pain and suffering. Every animal – no matter how big or how small or wild or how domesticated – wants to be alive and simply wants to be happy. 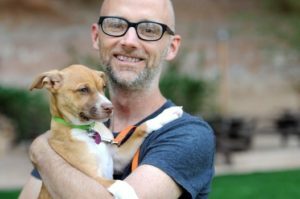 Posted on 3rd July 2018 3rd July 2018 By wholefoodplantbaseddietPosted in Whole Food Plant-Based DietTagged Animal activism, Animal cruelty, Veganism, Why did Moby become a vegan?